This is a 7 Pole and Function Trailer wiring junction box for rigging up the many trailer wire functions on all different types of trailers. 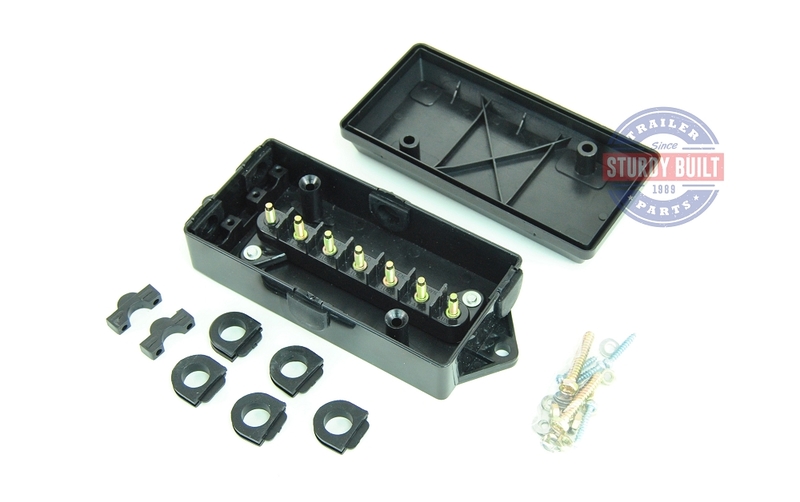 This junction box contains 7 Poles for Operating all the required functions up to a 7 RV Plug. These Functions would include the different wire colors such as White, Black, Yellow, Red, Green, Brown, and Blue. These are all the standard operating colors for most 7 RV Connectors on trailers. 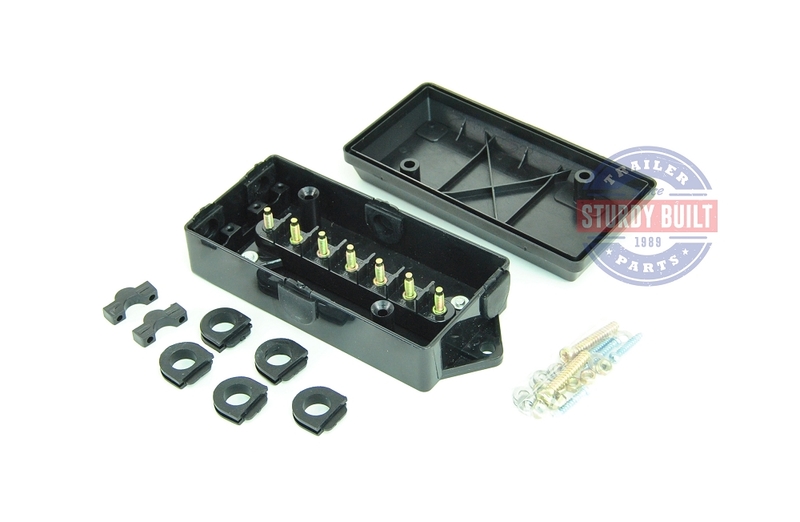 This Junction Box includes securing hardware for the box, as well as the required Wire Nuts for your connections. No specific wiring connectors or ring connectors are included with this Junction box. 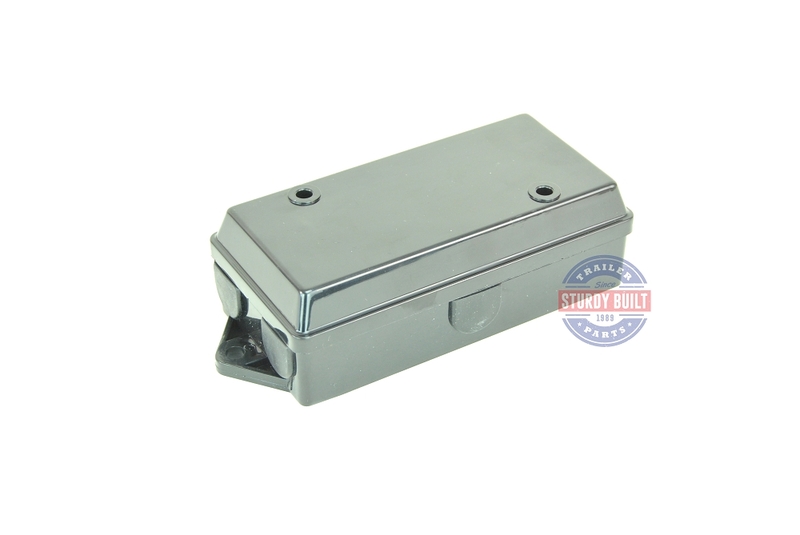 You will use the designations on this Junction box to match up your wire functions when you install this product. This Junction Box would be grounded using a separate wire that connects to the Ground Post, and then to the trailer frame itself. This would Ground the entire box. These are the designations on this junction box for your trailer wiring. 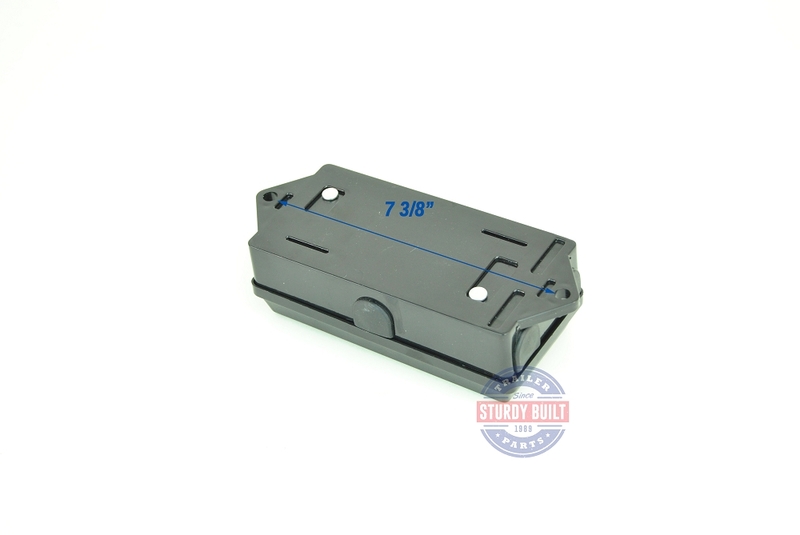 Included also are separate wire supports, both open and closed, for the ports on the junction box to support your wiring.